Iran's supreme leader Ayatollah Ali Khamenei sent his condolences to Hezbollah chief Hassan Nasrallah on Thursday after the killing of one of the militant group's top commanders, hailing him as a "great man". "Dear brother... I congratulate and offer my condolences on this great martyrdom to you, his family, the Hezbollah youth and all Lebanese," Khamenei said in the message to Nasrallah after the killing of Imad Mughnieh. "It should make the Lebanese people proud to have given the world such great men in the fields of seeking freedom and fighting cruelty," he said. Khamanei repeated Iran's accusations that Israel was behind the death of Mughnieh, who was killed in a car bombing in Damascus late on Tuesday, and warned of an increase in resistance against the Jewish state. "The bloodthirsty Zionist criminals should know that the pure blood of martyrs like Mughnieh will create hundreds more like Mughnieh," said Khamenei in a message read out by a state television announcer. "It will increase resistance against corruption and atrocities twofold," he added. Israel has denied any involvement in the bombing. Khamenei said martyrdom for a Muslim such as Mughnieh was a "happy fate". Mughnieh, 45, allegedly masterminded the abduction of Western hostages in Lebanon in the 1980s and the 1992 bombing of the Israeli embassy in Buenos Aires that killed 29 people. He was also linked to the bombing of the US marine barracks at Beirut airport in 1983, in which 241 American servicemen died and the hijacking of TWA Flight 847 in 1985, in which a US navy diver was killed. The United States accuses the Islamic republic, along with its regional ally Syria, of arming and financing Hezbollah, as well as working to destabilise Lebanon in its current political crisis. Overwhemingly Shiite Iran insists it only gives the Lebanese Shiite militant group political support. It says it wants to see a political solution in Lebanon acceptable to all religious and ethnic factions. 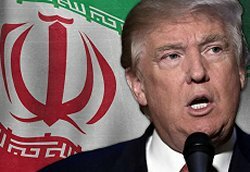 Washington also accuses Tehran of being a leading sponsor of terror, another allegation that Iran vehemently denies. Iranian Foreign Minister Manouchehr Mottaki was due to attend the funeral of Mughnieh later on Thursday, state television reported.